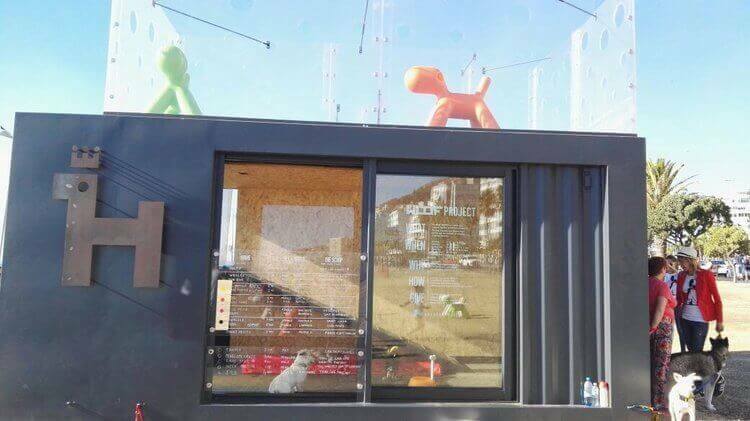 Container Rental and Sales were commissioned by Oscars Arc to convert a 6-meter container into a mobile dog adoption container. 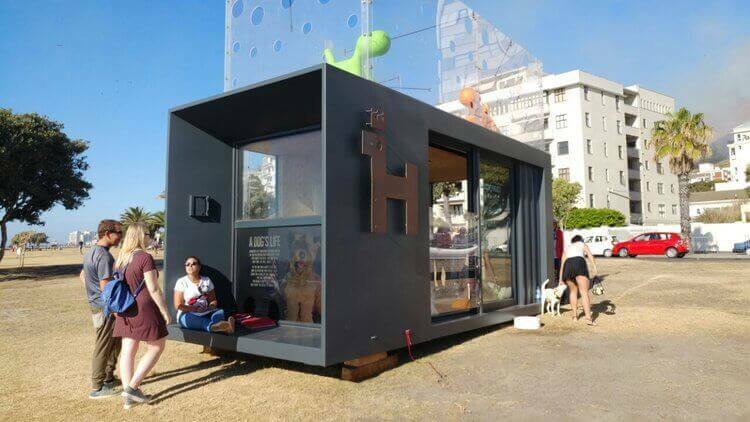 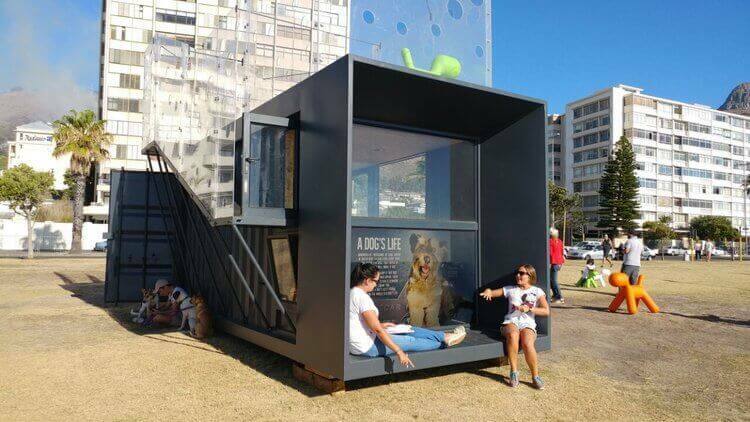 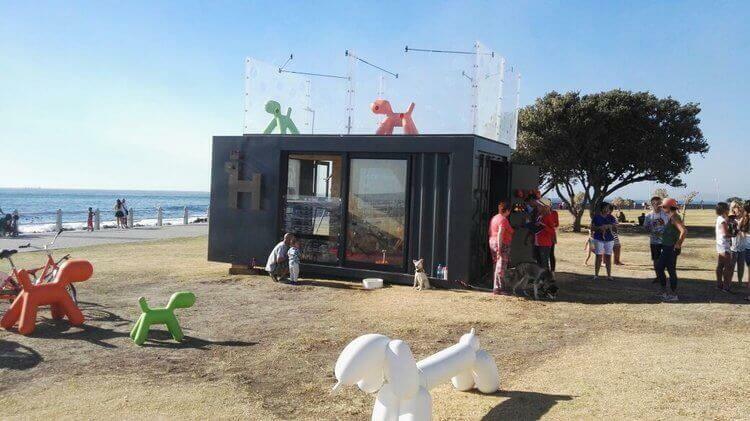 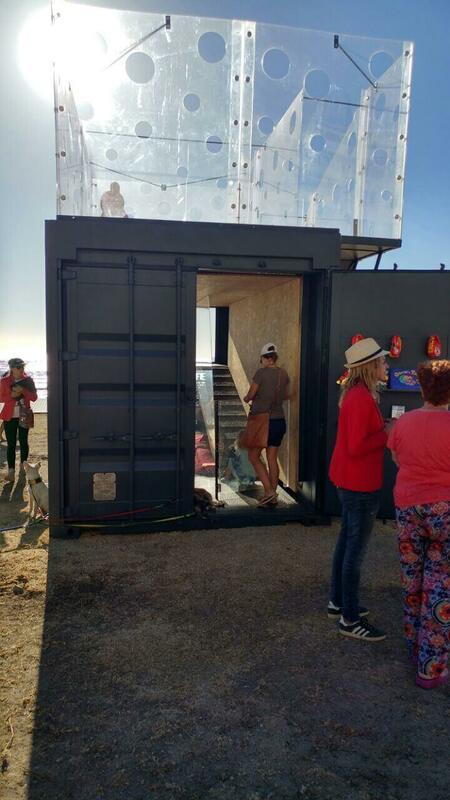 This container moves around to various location in and around Cape Town, offering people an opportunity to meet and adopt dogs. 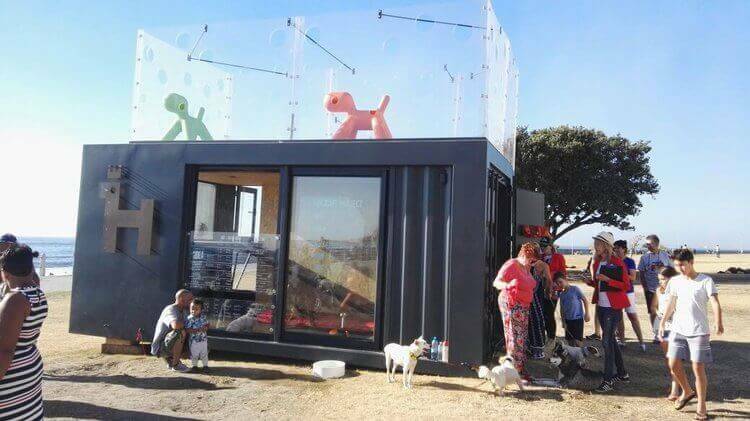 It was designed to be off grid with its own solar power for its lights and a plug point. 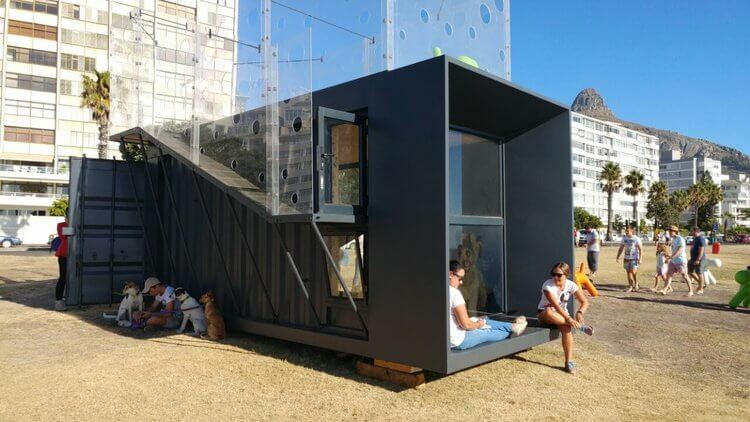 The clients high end design combined with Container Rentals and Sales quality workmanship has resulted in a truly unique product.